What is the right cloud security standard? What level of security is “good enough”? And most importantly — how do we apply these standards in a consistent way to existing and new cloud environments? In July 2016, the Ponemon Institute published The 2016 Global Cloud Data Security Study, an independent survey of 3,400 technology and security professionals. More than half of the respondents did not have measures for complying with privacy and security requirements in the cloud. That is clearly a problem. 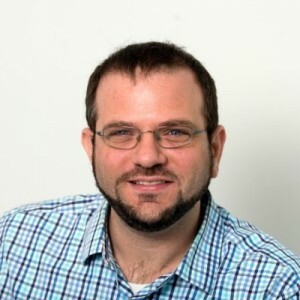 We sat down with Dan Rosenbloom, the Lead AWS Architect at Logicworks, to talk about his own struggle with standardization and how he enforces common configurations across 5,000+ VMs on AWS. Why do you think central IT and GRC teams have struggled to keep up with the pace of cloud adoption? Every company is different, but this struggle usually happens when the business goal of getting to the cloud and meeting deadlines trumps long-term goals, like setting up standards for consistency and manageability. In fast-moving companies, every team builds a cloud environment on a different platform following their own definition of cloud security best practices; security teams are often pressured to complete reviews of these custom, unfamiliar environments in short time frames. Both developers and security professionals end up unhappy. Many central IT departments are in the process of reinventing themselves. You do not become a service-oriented IT team overnight — and when you add cloud adoption into the mix, you put further strain on already stretched processes and resources. Have you seen a company go through this process well? Or is this struggle inevitable? What standard do most organizations apply in cloud security? From a strategic perspective, the issue boils down to who can access your data, how you control that access and how you protect that data while it is being used, stored, transmitted and shared. At Logicworks, we build every cloud to at least PCI DSS standards, which is the standard developed by credit card companies to protect consumer financial information. We choose PCI because a) it is specific and b) we believe it represents a high standard of excellence. Even clients with no PCI DSS compliance requirement meet at least these standards as a baseline. If your company has an existing annual infrastructure audit processes and standards, and a supplementary standard like Cloud Council can help orient your GRC team for cloud-specific technologies. How does central IT enforce this standard? 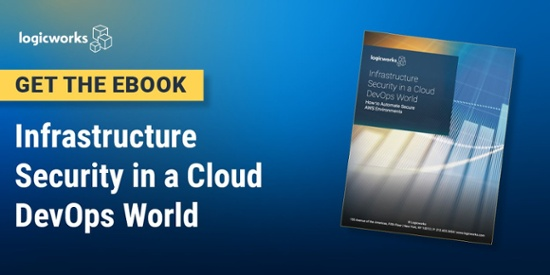 One of the benefits of cloud technology is that you can change your infrastructure easily — but If your environment is complex, change management and governance quickly become a nightmare. Automation is the key. It is easiest to see how this works together in an example. Let’s say central IT wants to build a standard, PCI DSS compliant environment that product teams can modify and use for their own individual projects. Essentially, they want to “build in” a baseline of security and availability standards into a repeatable template. First, they would write or create core resources (compute, storage, network) in a framework like AWS CloudFormation, with some basic rules and standards for the infrastructure level.. Then the OS would get configured by a configuration management tool like Puppet or Chef, which would perform tasks like requiring multi-factor authentication and installing log shipping and monitoring software, etc. Finally, those resources receive the latest version of code and are deployed into dev/test/production. Standards are continually enforced, without human intervention. How do you bring engineers on board with an automation system? I have been in IT for about 15 years, and I come from a very “traditional” systems engineering background. I always tried to follow the old school IT rule that you should never do the same thing twice — and the cloud just gives me many new opportunities to put this into practice. I got introduced to configuration management a few years ago and was obsessed from day 1. Most engineers like scripting things if there is an annoying problem, and cloud automation takes care of some of the most annoying parts of managing infrastructure. You still get to do all the cool stuff without the repetitive, mindless work or constant firefighting. Once your engineers get a taste of this new world, they will never want to go back. Any advice for IT teams that are trying to implement better controls? The automation framework I just described — infrastructure automation, deployment automation, and configuration management — is complex and can take months or years to build and master. If you work with a Managed Service Provider that already has this framework in place, you can achieve this operational maturity in months; but if you are starting on your own, do not worry about getting everything done at once. Start by selecting a cloud security standard or modifying your existing standard for the cloud. Then build these standards into a configuration management tool. Even if you do not build a fully automated framework, implementing configuration management will be a huge benefit for both your security team and your developers. Our team would be happy to answer any specific cloud security questions — just reach out to us at info@logicworks.net. Logicworks is an enterprise cloud automation and managed services provider with 23 years of experience transforming enterprise IT. Contact us to learn more about our managed cloud solutions.